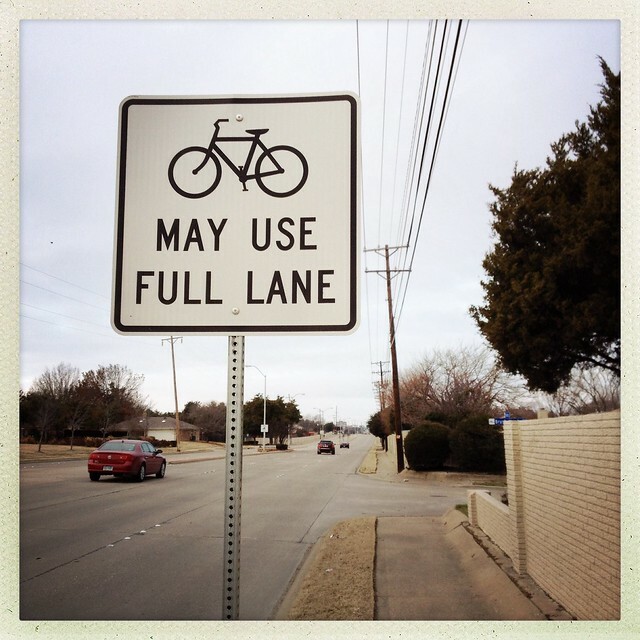 It’s no surprise to me, since I ride in this city all the time. 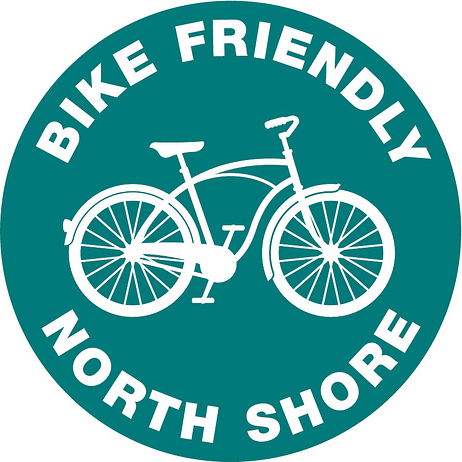 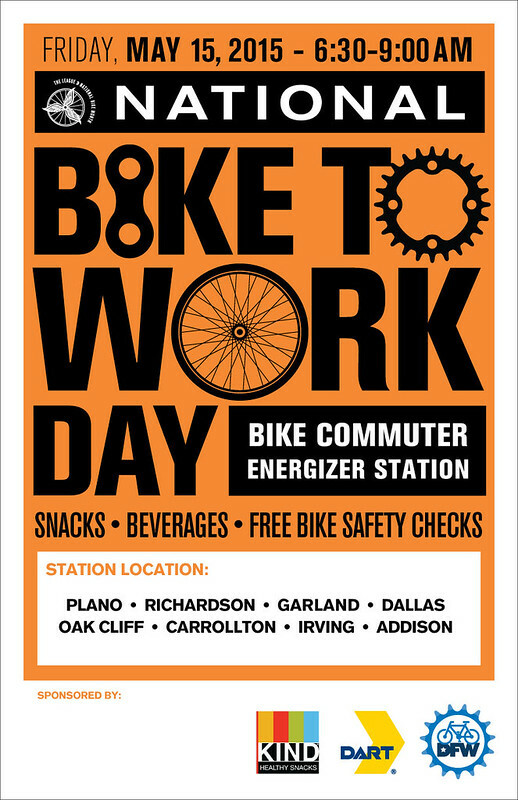 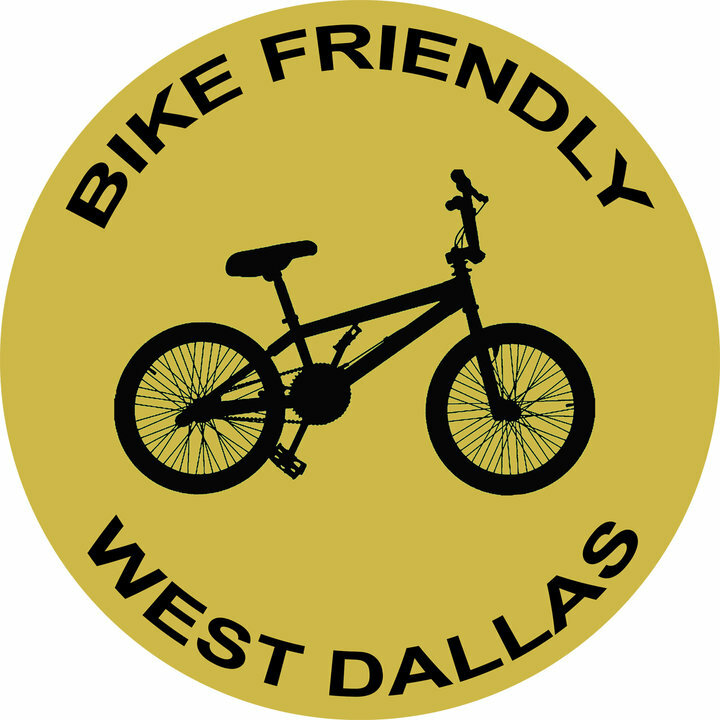 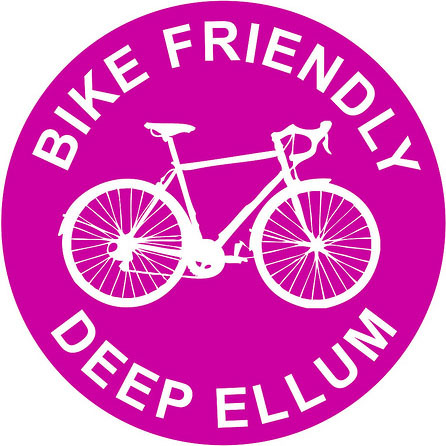 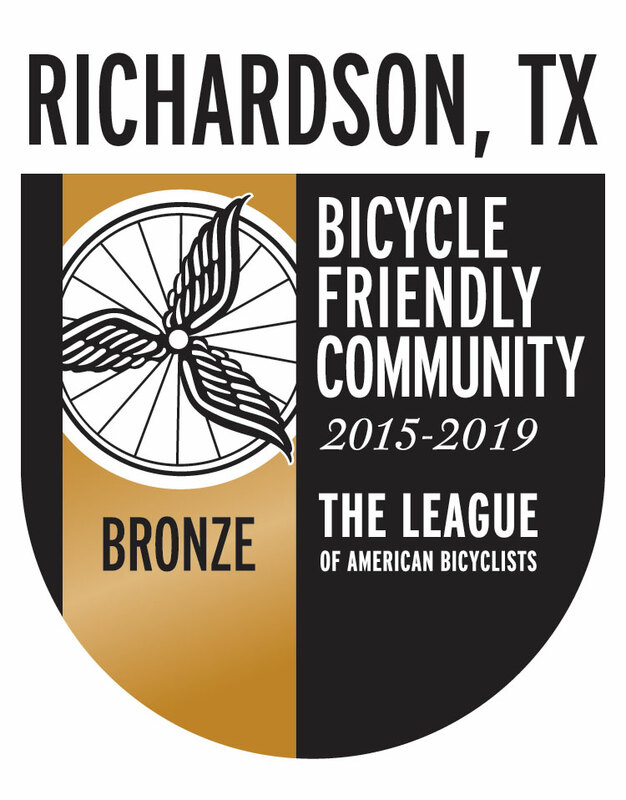 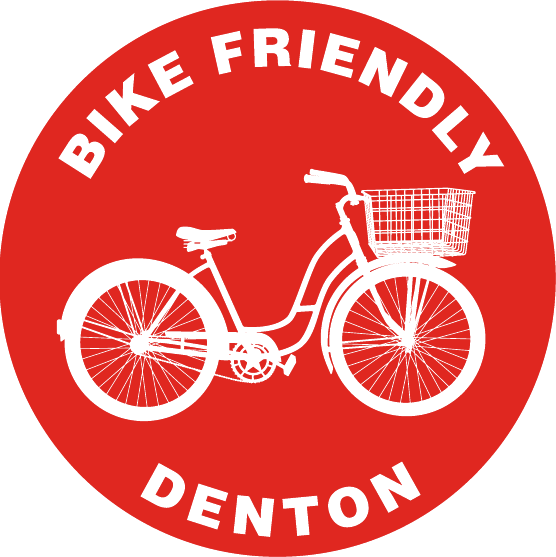 I hope that this recognition becomes a way to motivate other north Texas cities to work harder to become bike friendly as well. 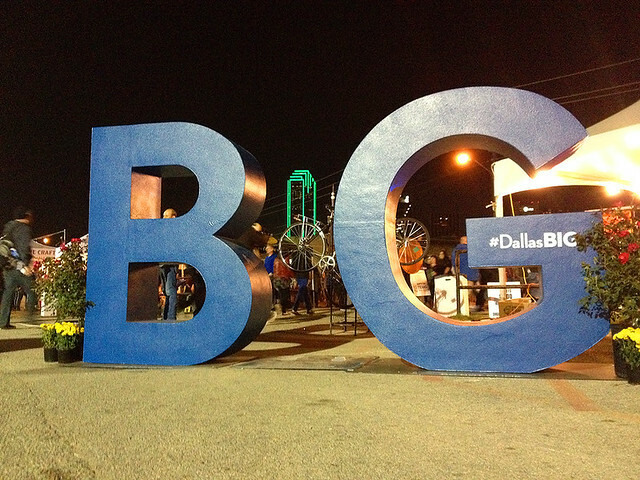 Let’s keep this momentum going. 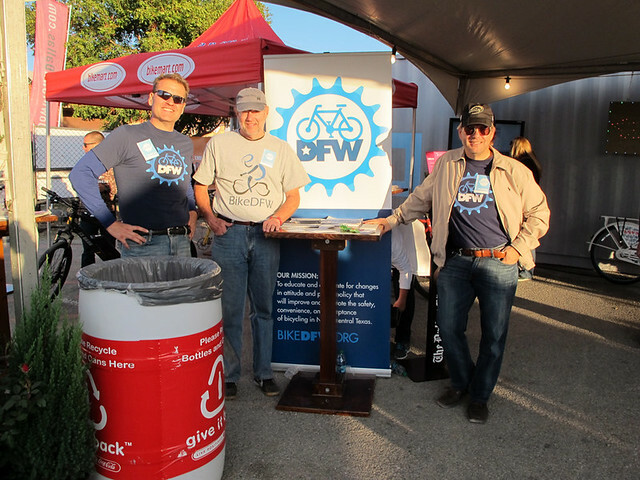 I’m sharing this content from the BFR blog. 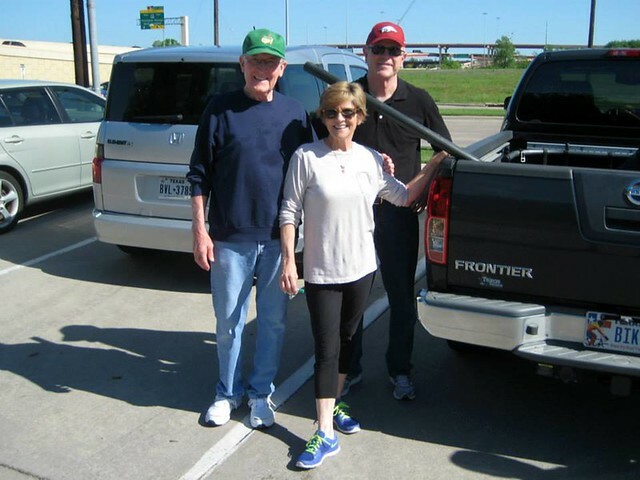 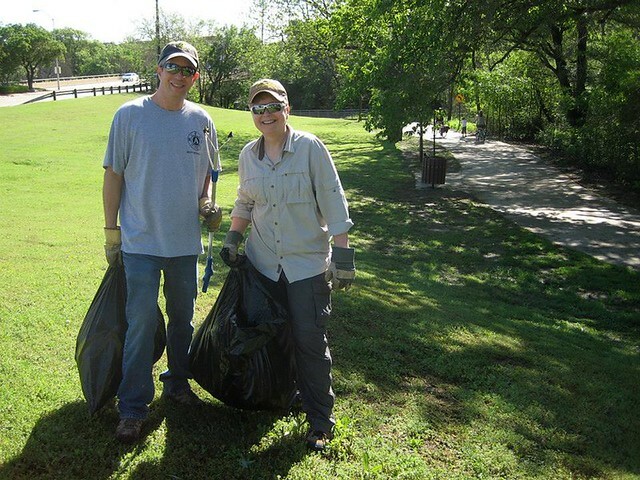 Last weekend, the City of Richardson held their annual Trash Bash event, recruiting volunteers and organizations, from all over the city, to help pick up trash and get the city clean. 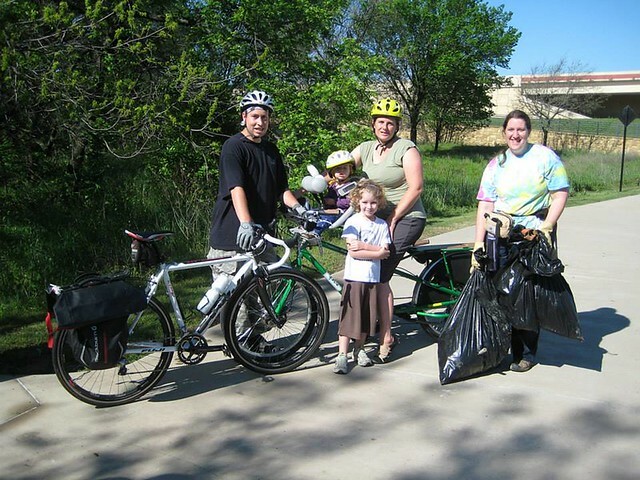 Motivated by the success of our own trail cleanup day, my local advocacy group, Bike Friendly Richardson, stepped up to participate. 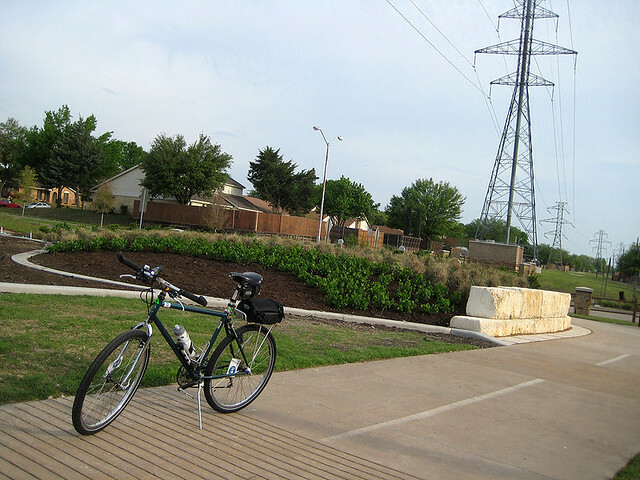 We took on the Spring Creak Nature Preserve area, a popular public park located on the southeast side of Renner Road and Central Expressway. 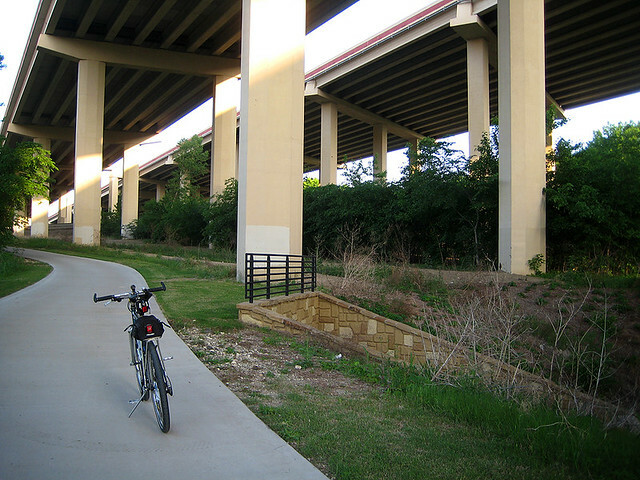 The Preserve, with it’s scenic trails, is frequently visited area by cyclists – which made it the obvious location to focus our efforts. 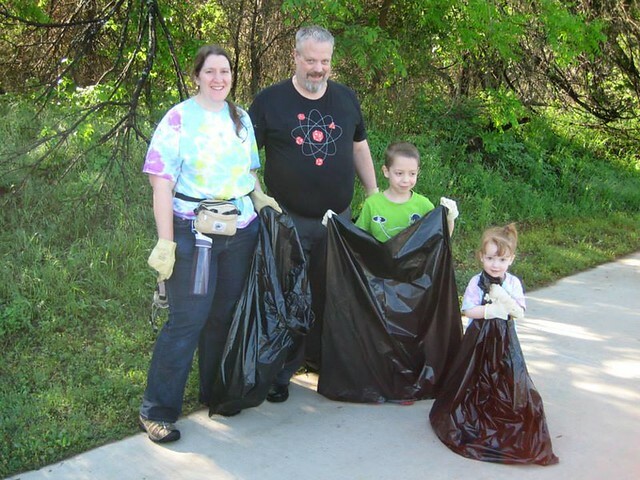 Overall, we had 11 adults and 4 kids show up to help, and we filled about 8-10 bags. 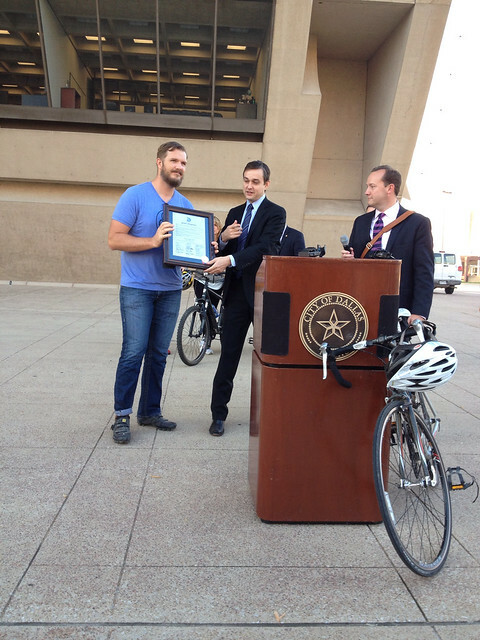 It was nice to give back to the city and care for the amenities that make this community so great. 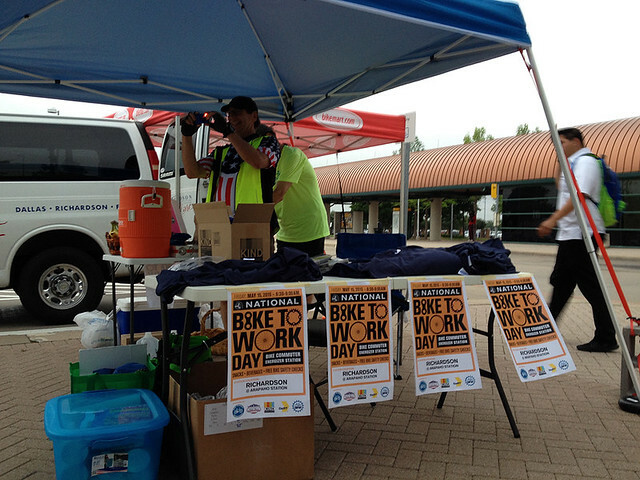 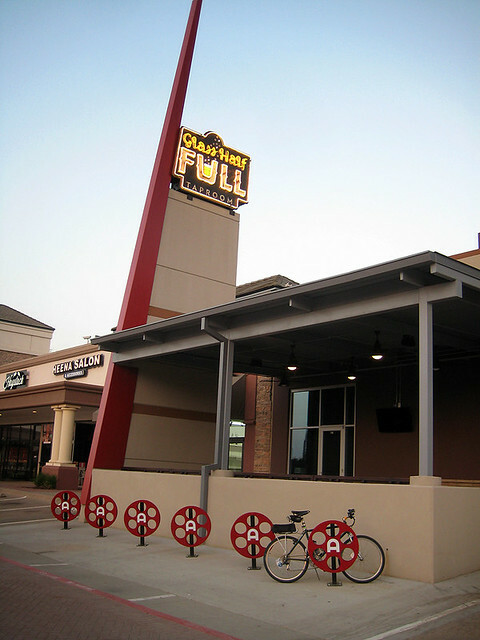 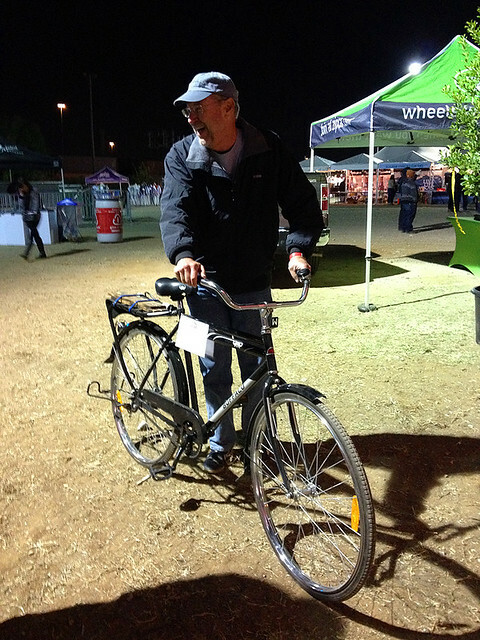 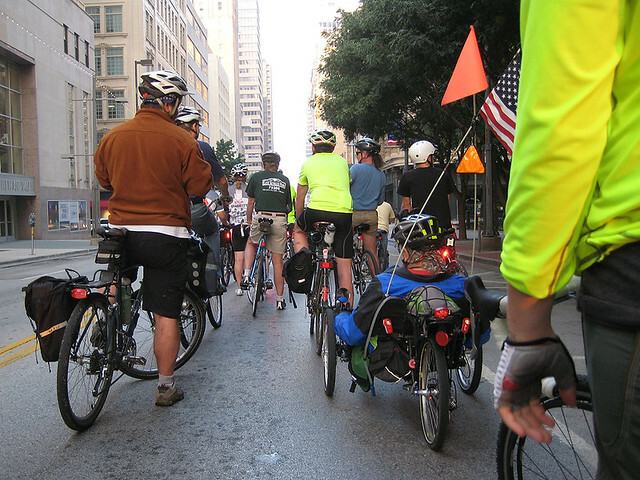 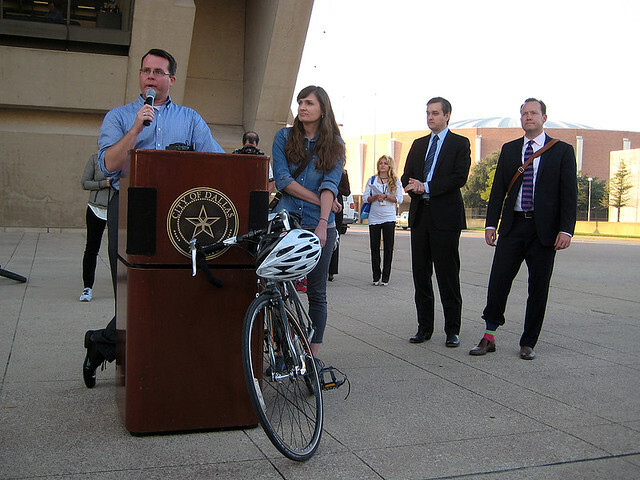 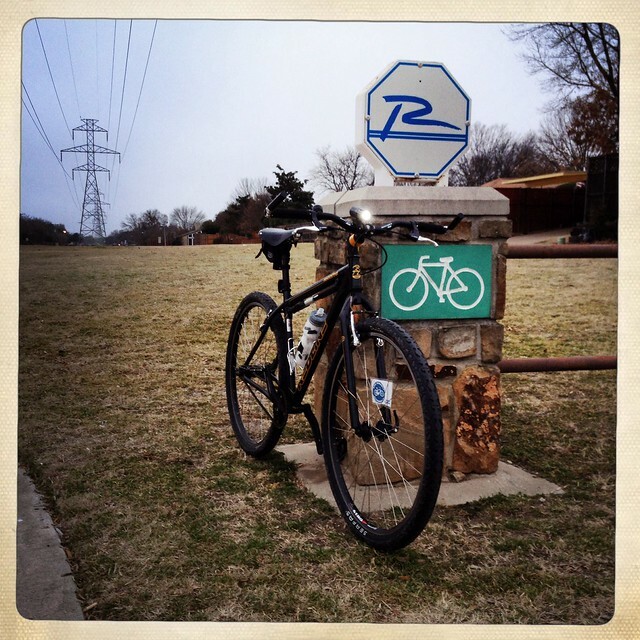 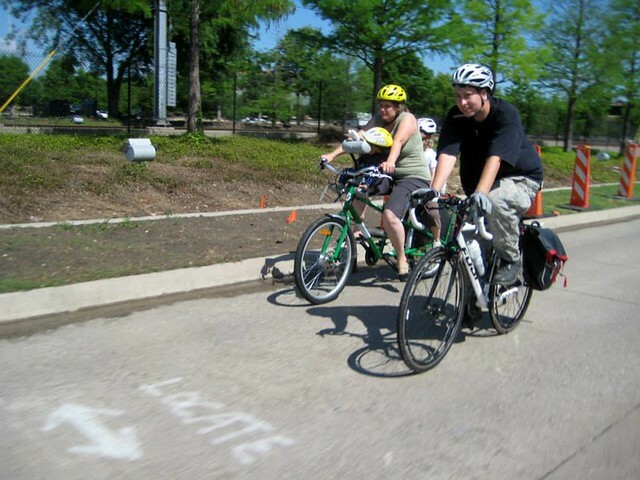 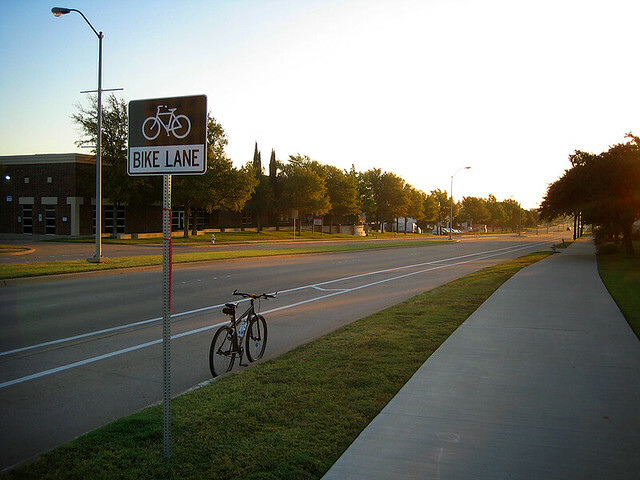 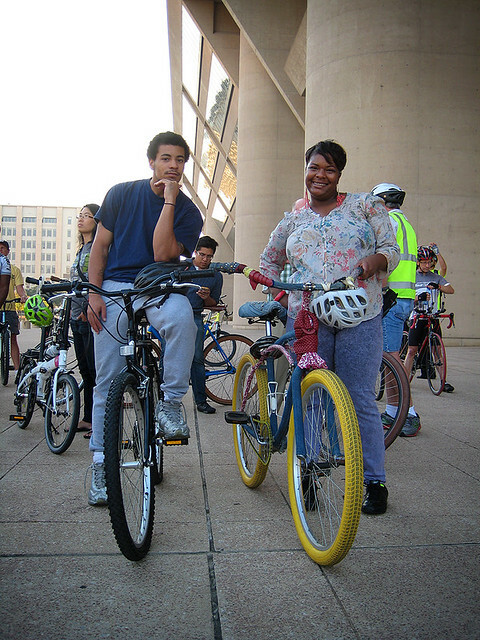 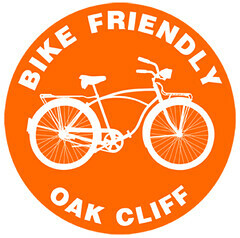 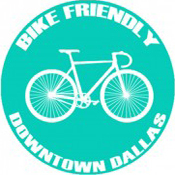 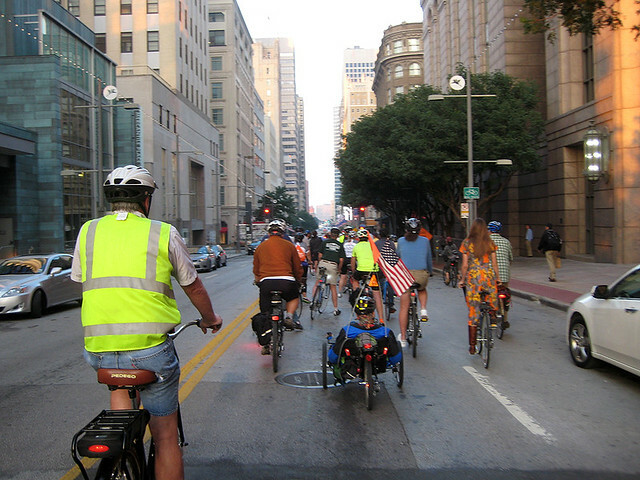 Image © BikeTexas.org – Please visit their site. 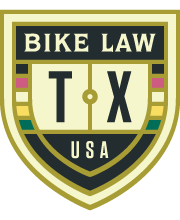 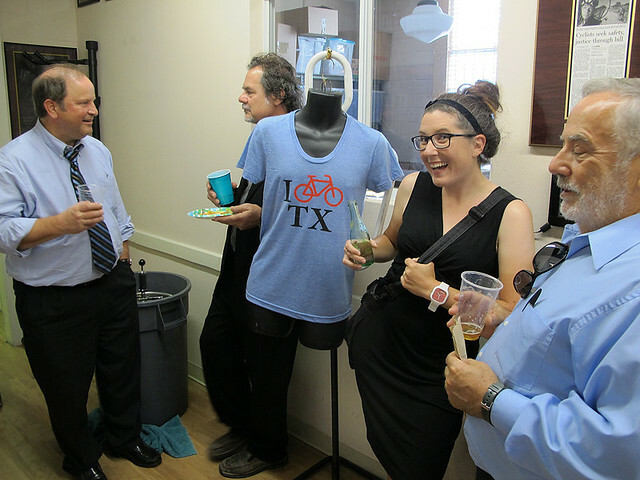 Last week, BikeTexas hosted their Cyclists In Suits – Bicycle Lobby Day event at the Texas State Capital in Austin, Texas. 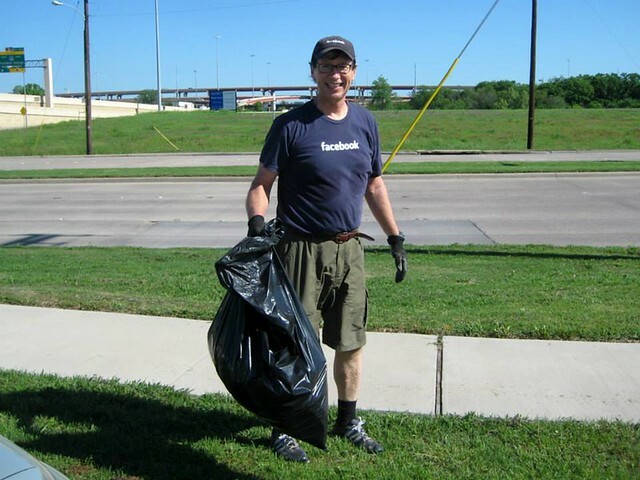 This happens every other year, for more years than some of us have been advocates. 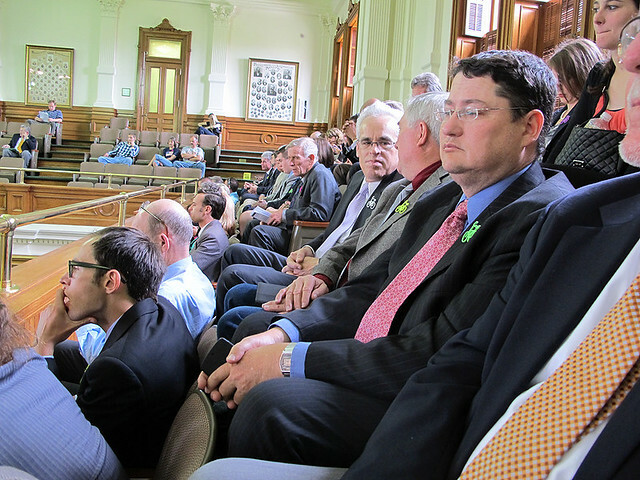 I think we heard somebody mention that they were on their 9th or 10th visit to the capital. 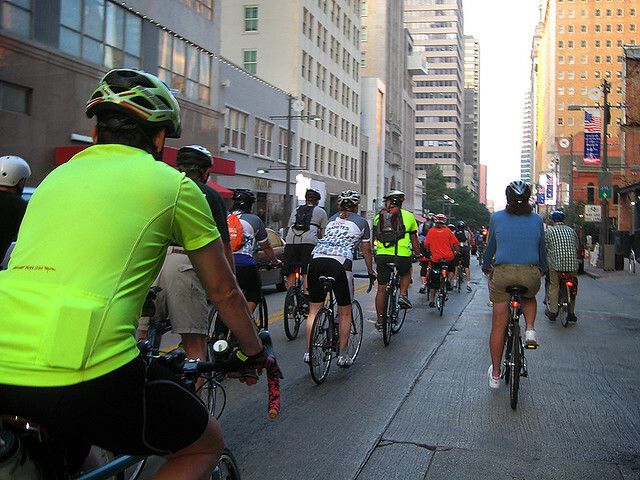 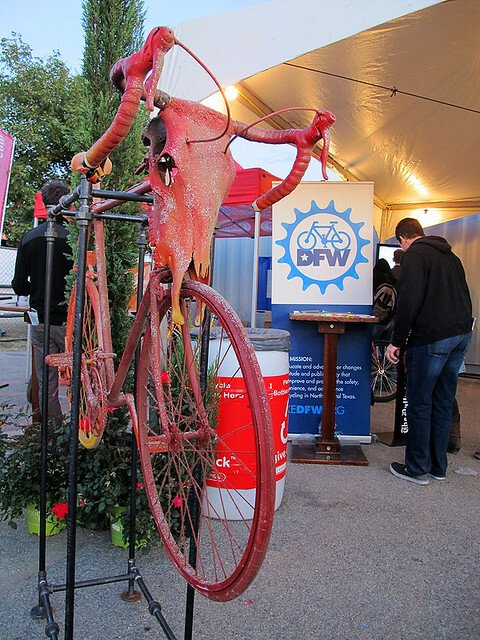 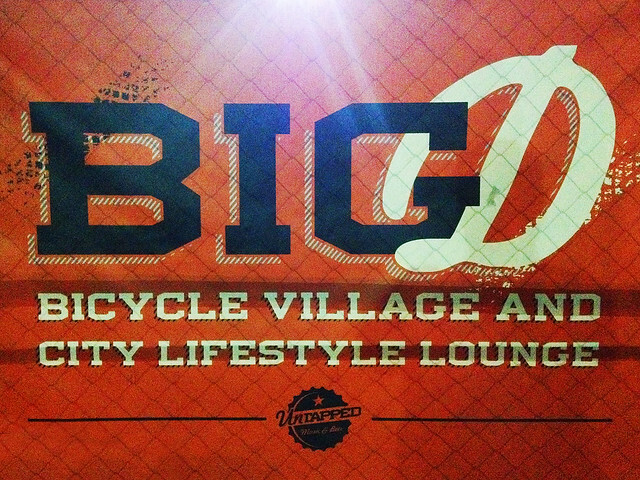 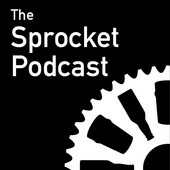 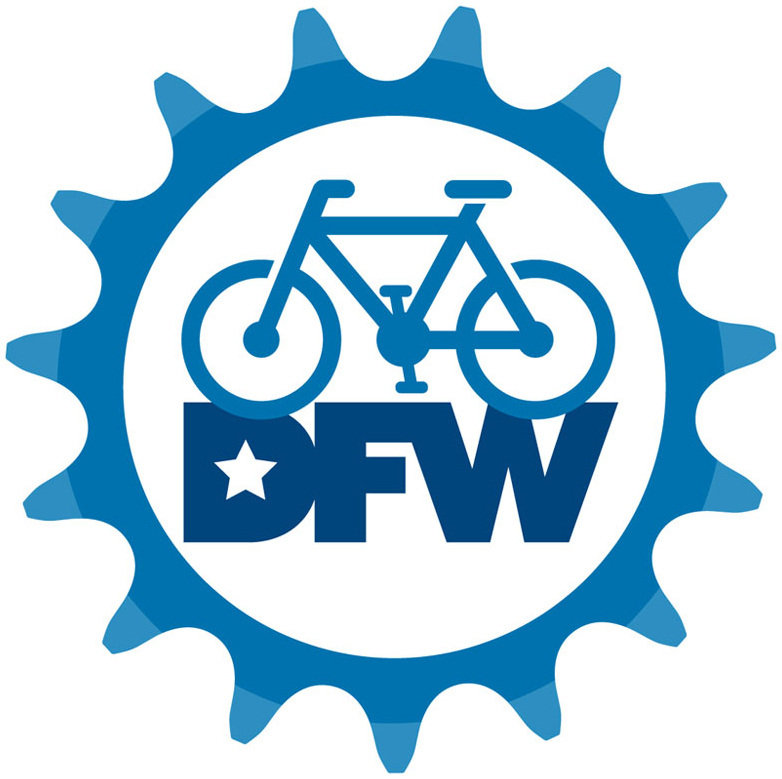 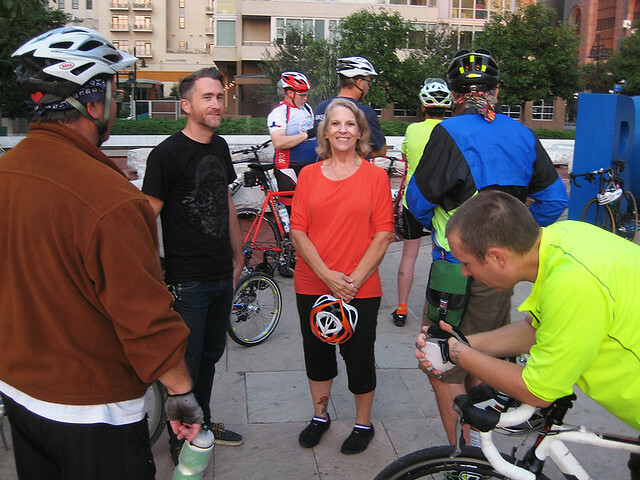 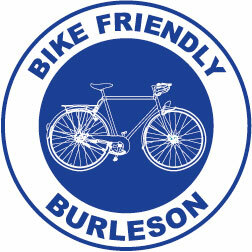 Each time, cyclists from all over Texas, strip the lycra, wool and skinny jeans, to put on their best dress clothes. 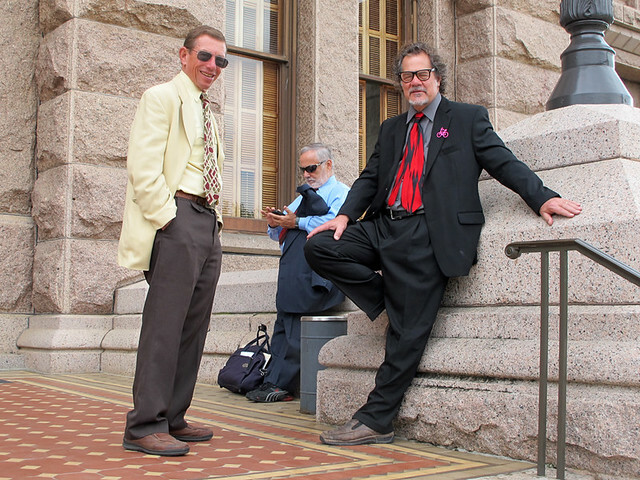 Business attire was key to being taken seriously as we represented the cycling community to the Texas State Legislature. 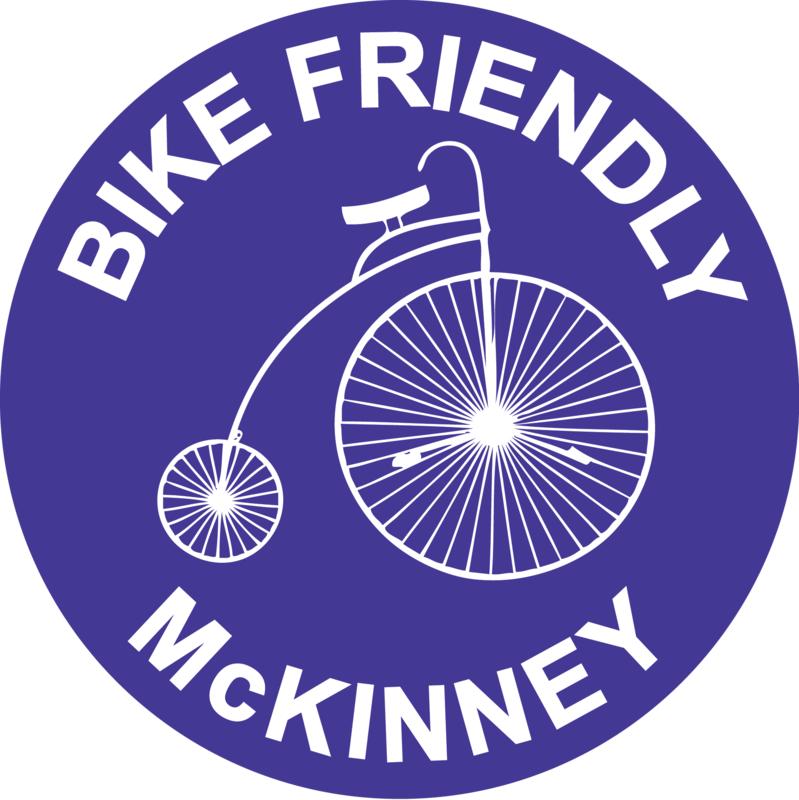 We also let legislators know that we oppose HB 383, which would require bicycles to be equipped with a mirror as part of a safe passing law. 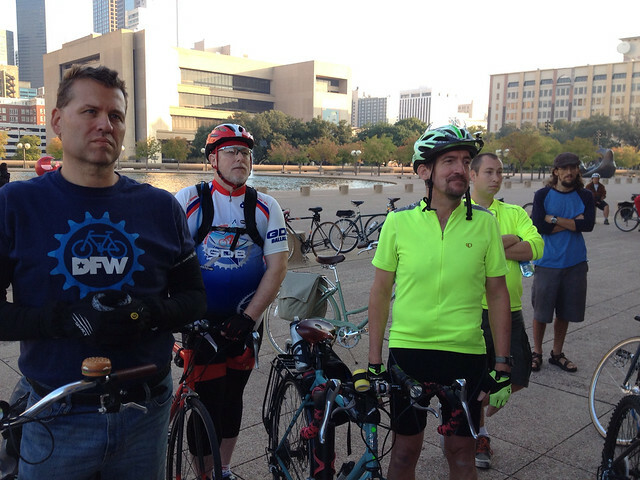 The group coming from Dallas was a bit smaller this year. 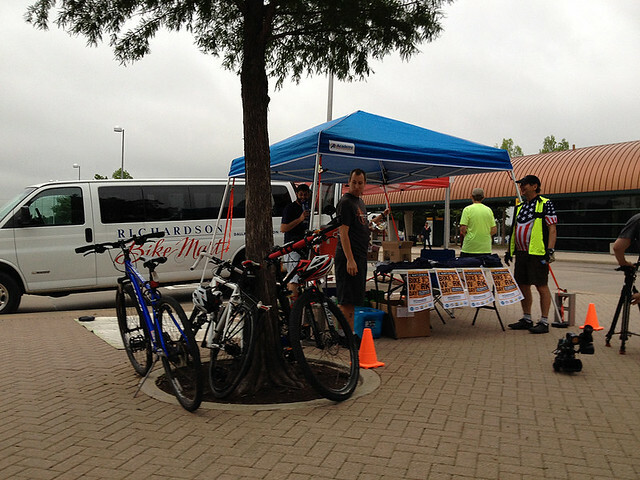 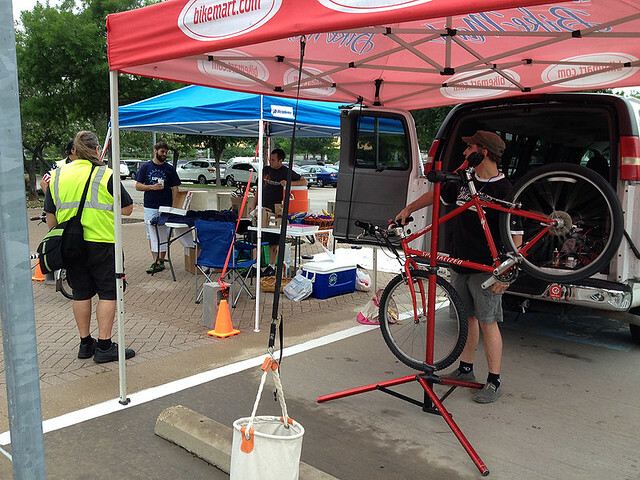 Some folks drove down, while others shared a van hosted by BikeDFW. 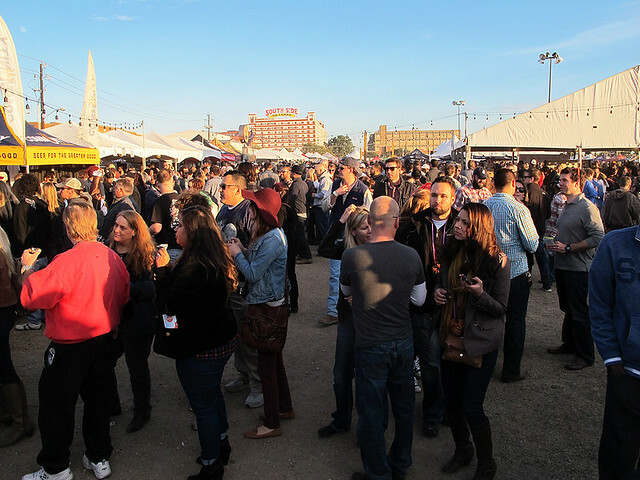 This year’s event was organized a lot better than previous years. 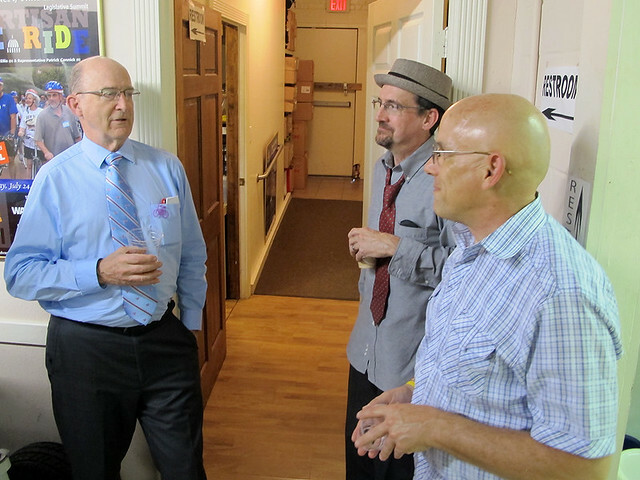 Although it was a shaky start, with a little bit of confusion in the crowd, the lobby teams were better organized so that each person got to visit the office of their own Senator and Representative, as well as the legislative offices near by. 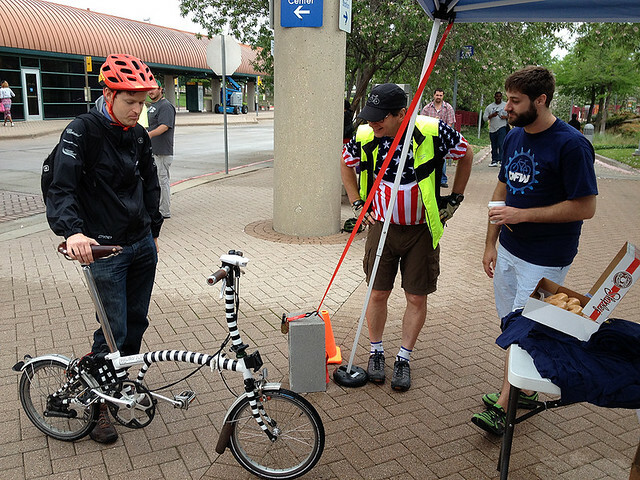 This allowed us to optimize our time by not having to run all over the capital building. 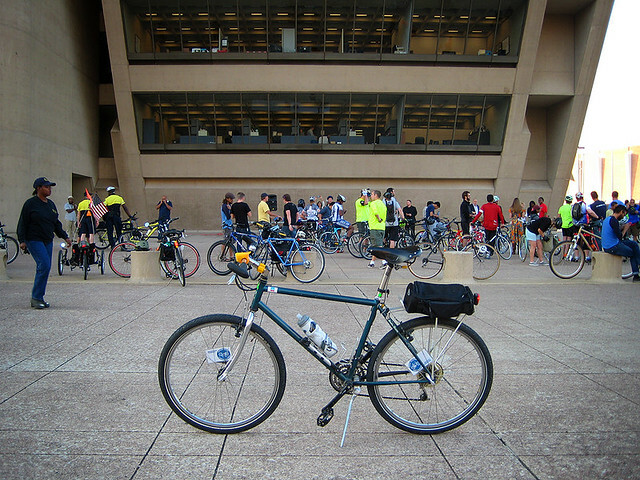 Most of us were finished by lunch. 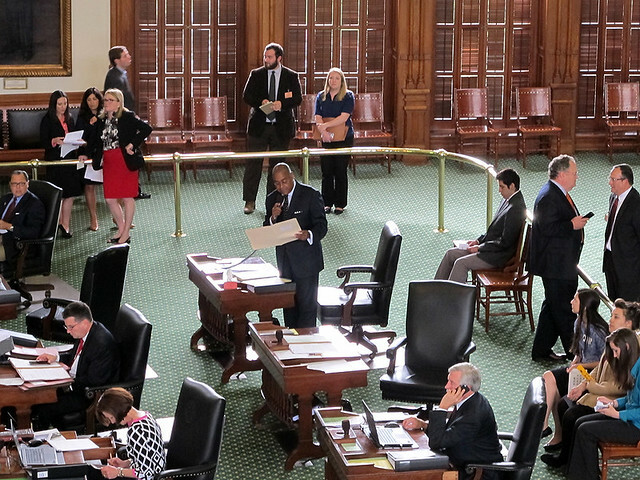 After lunch, we headed over to the Senate to hear a special resolution for people who ride bikes – read by bike friendly Senator, Rodney Ellis. 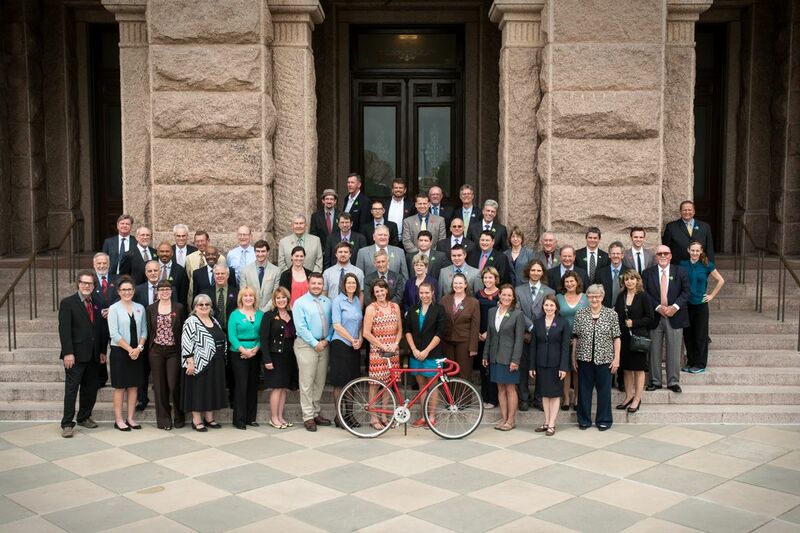 From there, we headed over to the front of the Capital building for our group picture. 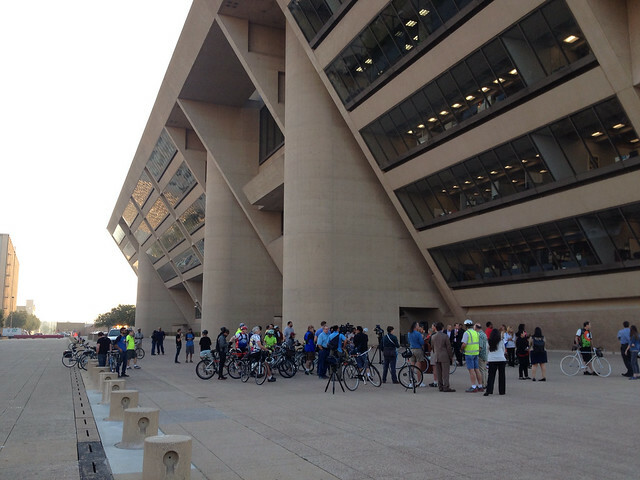 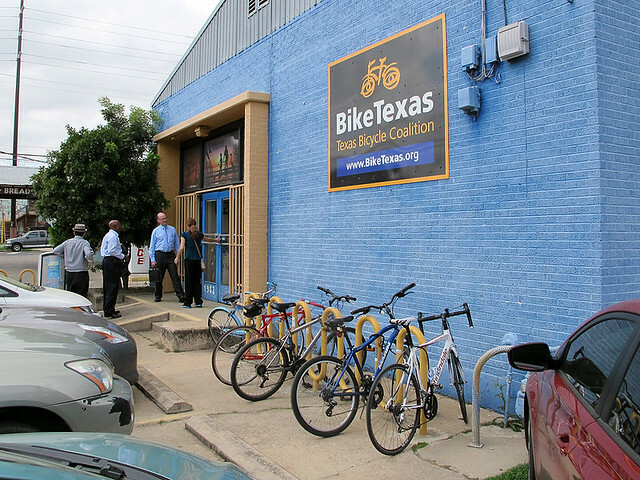 Once our lobbying was finished, the group headed over to the BikeTexas headquarters for a small wind-down event. 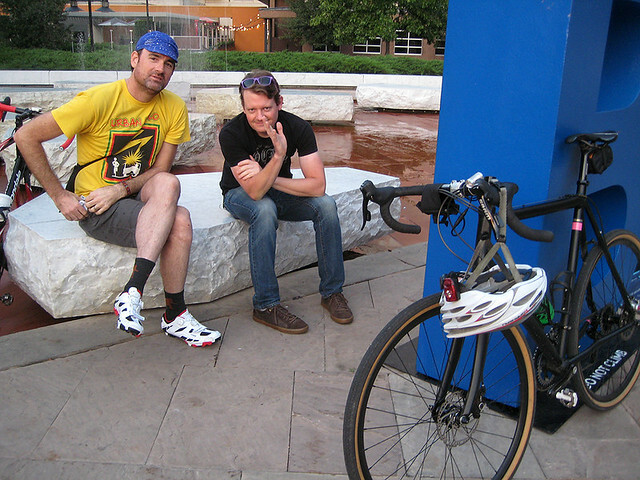 It was nice to regroup, visit and talk about the days events and share cycling stories about our hometowns.